TGIF my friends! 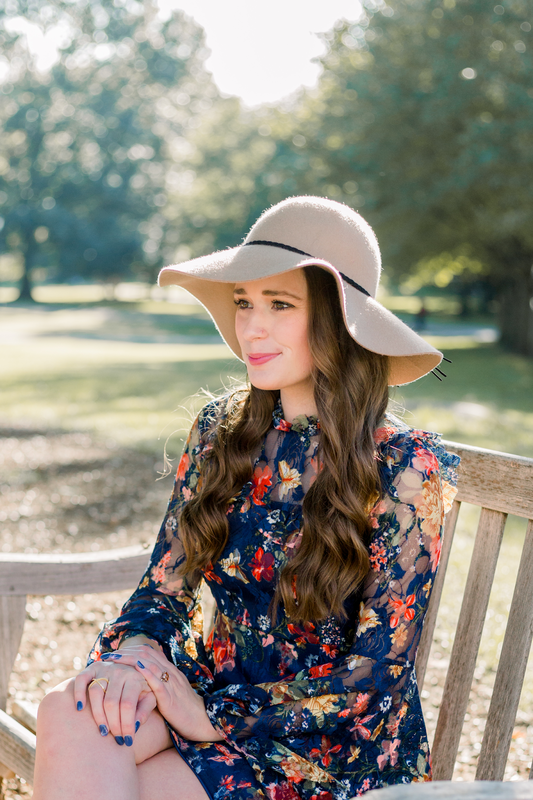 Today I'm sharing what might be one of my favorite fall dresses ever in today's post! I'm also sharing an announcement related to upcoming holiday content on the blog- I'd love your thoughts on it. In just a couple years, Shein has quickly become one of my top online retailers to shop at! I first started shopping there during my junior or senior year of college. At first it was just a destination that I'd buy really trendy pieces at (things that probably wouldn't be in style six months later), but I think in the last couple years that they've really upped the quality of products on the website! The items with slightly higher price points ($25-40) usually are very well made and have a nice fit. I've become so impressed with many of my recent Shein purchases, that I now rarely shop at fast fashion retailers like H&M and Forever 21. 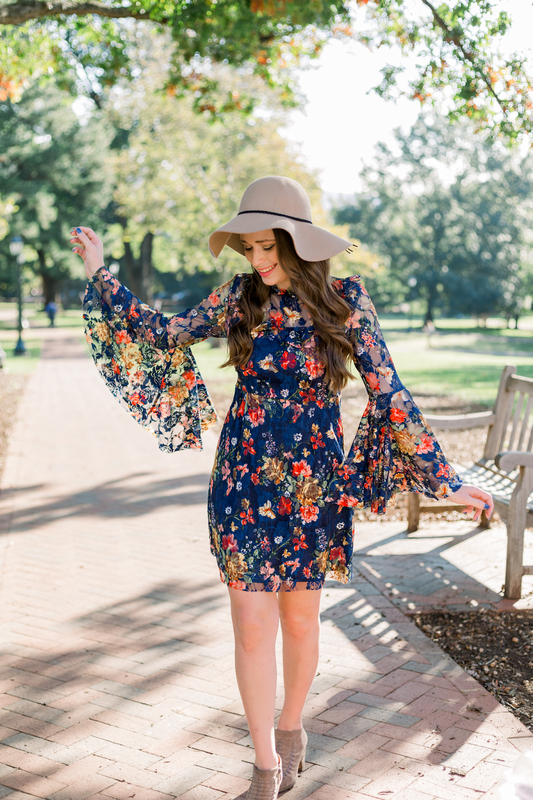 This gorgeous floral bell-sleeve dress might just be one of my very favorite Shein purchases! I ordered the M (I'm normally an S in other retailers, but always order M at Shein), and it fits live a glove! It stretchy and so comfortable, and I think the length and bell-sleeves are so flattering! The best part about this dress is the fabric won't wrinkle! That's what makes this a perfect pick to pack for Thanksgiving travels next week. You won't have to worry about ironing or steaming it after it comes out of your suitcase! This dress is 100% coming with me on my Thanksgiving trip. Shein has given me a discount code for y'all to use on their website!! If you decide to buy this dress, that'll make the already under $30 price tag even better! Use code HIMISSALK20 for 20% off your purchase. Now for a brief update on holiday content on the blog. Drumroll please.... I've officially decided... not to do any gift guides this year! I know, I know... that's like breaking the blogger code of ethics to completely bypass Christmas gift guides right? A few weeks ago on Instagram Stories I did a little survey asking about what types of gift guides y'all wanted to see. So many of you responded with creative answers, so I really hope I'm not letting you down too much by deciding not to do them. There's a few factors that inspired my decision. First and foremost... they take a lot of time to put together! Probably 2-3x the amount that it takes me to write any other type of blog post. Assembling the images of all the products and then making one large graphic takes a lot of time. And time is something that I don't have a ton of right now! Work has been absolutely insane lately, as what I thought would be a few days of filling in on my station's morning show has become a few weeks. In addition to work changes, I've had very full weekends (and have more on the way) and I'll be out of town for the next two weekends, so I have to really maximize the more limited time that I have to work on my blog. Secondly... in addition to being time consuming to make, in past years I haven't seen the commissions that I'd like to be seeing from gift guides. (If you're not familiar with blogging affiliate programs - I use affiliate links in my blog posts to make commission on purchases made through my blog links!) Over the years, gift guides have never a high source of income for my blog, and with the time commitment involved I'm just not sure that it's worth it this year. Lastly- they seem to be very oversaturated in the blog industry right now! Just about every other blogger is doing many of them this season, so if you do like shopping through gift guides, there won't be a shortage to choose from! So what does this mean for my blog in the next several weeks? Don't worry, even with the craziness at my job I'll still be blogging 4x a week! 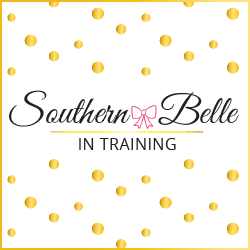 😊I look forward to bringing you holiday-specific fashion and travel content, as well as everything else that you normally enjoy on Southern Belle in Training. If you are curious about the items that I'd recommend for gifts this year, feel free to DM or email me!! I'd love to provide you with personalized gift recommendations. Have a great weekend! Stay tuned to my Instagram Stories tomorrow for a fun event. I am SO with you!! I'm having trouble finding the time & energy to produce gift guides on top of all the other content I'm working on! 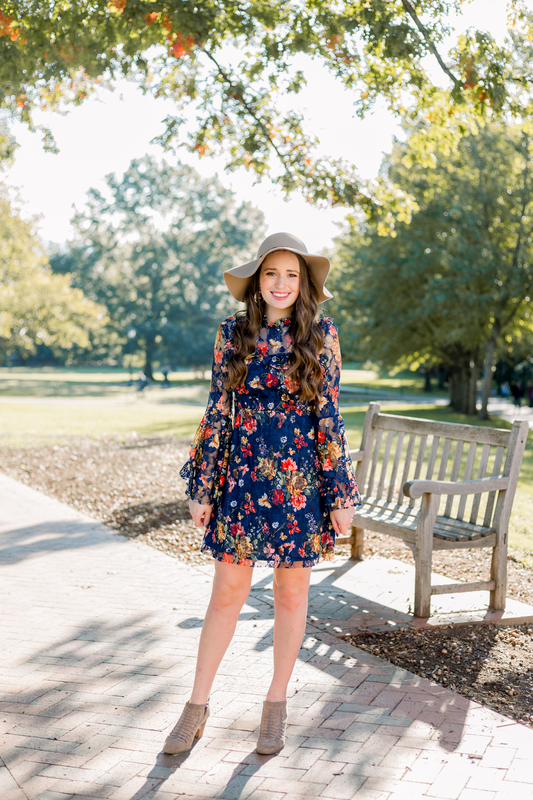 Love this dress friend- definitely adorable for your Thanksgiving celebrations! 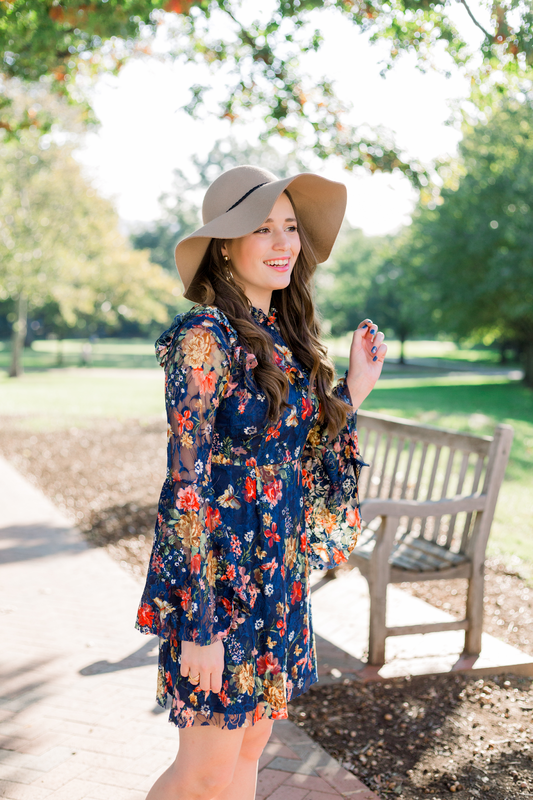 Oh I love this dress- so gorgeous with the floral print and those sleeves are a fun detail! You look beautiful! The print on this dress is so pretty! And I love those sleeves! I've loved shopping at SheIn lately too, their sweaters are my fav! This dress is so cute on you! I love the sleeves! That dress is so cute! I love the floral print!